Have over the last few weeks had an issue playing WoW where the lag can be measured in minutes no joke and it would seem right now on the Darkspear realm that it ain`t just me. Anyone else seeing this? Web browsing no problem but downloading or gaming forget it. In the past I have had to reboot my router to sort it out?? I am assuming that its a problem their end?? This website http://btbusiness.custhelp.com/app/service_status says that it estimates time to resolve 2 hours. Maybe this weekend is for getting out and not trying to use the internet eh? its on the blink again!! do you have the iP of the wow server to check? If you run a tracert to the games servers it should highlight where the problems are, might also be worth doing a comparative one to here or the BBC for instance. 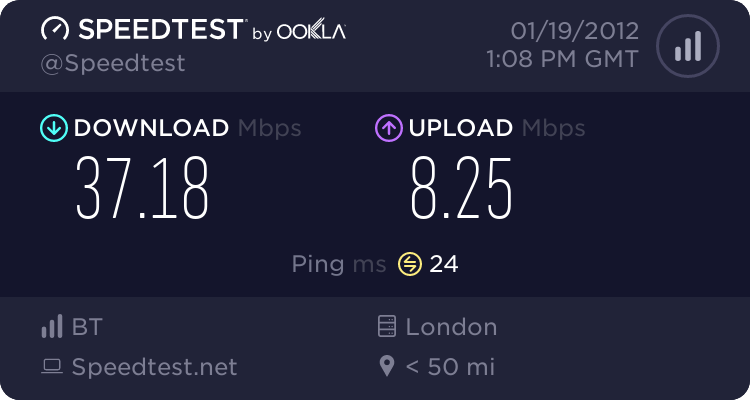 thanks all, the status page on BT suggested network upgrades?? Shall have to see if I can find the IP address. that spike in the middle doesnae look right?? Don't play WOW so no way of comparing really. 9 31 ms 31 ms 31 ms core2-pos9-1.telehouse.ukcore.bt.net [194.74.65.
continues the request timed out as with yours. That might not be a problem though. Rest of pings look a bit more stable than yours though.